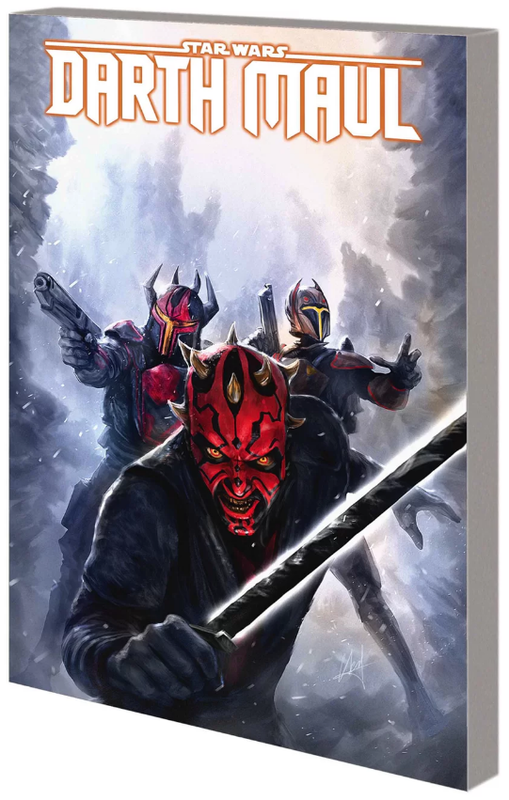 Marvel has three new Star Wars releases including the re-release of the previous out of print Darth Maul: Son of Dathomir, the only canon comic put out by Dark Horse Comics before they lost the license to Marvel. THE ASHES OF JEDHA! 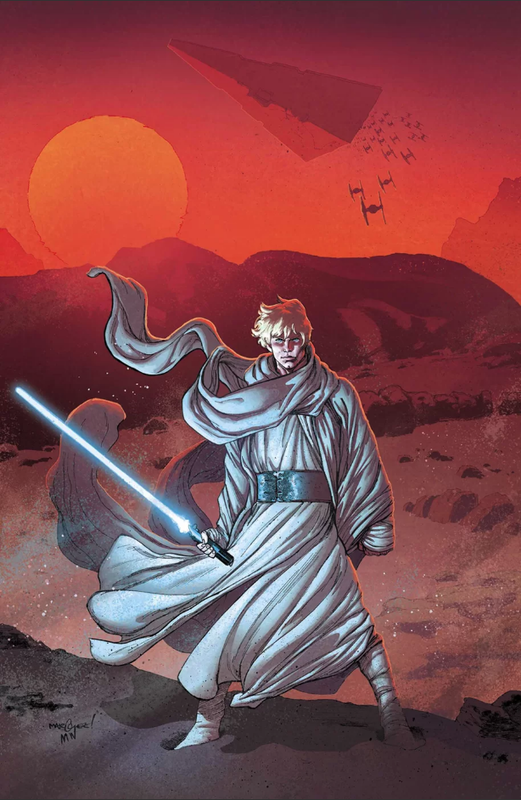 KIERON GILLEN’S FIRST ISSUE ON STAR WARS! The Rebel Alliance turns its attention to the shattered planet of Jedha! Once the site of great significance to the Jedi, Jedha was left in ruins when the Death Star annihilated the Holy City there. Now, new series writer Kieron Gillen joins artist Salvador Larroca to bring Luke, Leia, Han, and the rest to the remains of the tragic victim of the Empire’s fury! Getting cut in half by Obi-Wan Kenobi and being rejected by his former Sith Master Darth Sidious isn’t going to defeat Darth Maul. In fact, it only makes him mad enough to take on the galaxy — alongside an army of Mandalorians! After forming the Shadow Collective — a criminal organization composed of the Hutts, Black Sun, Mandalorians and fearsome Nightbrothers — Maul wages war against Darth Sidious and his generals, Count Dooku and General Grievous! Adapted from unproduced teleplays for Season Six of The Clone Wars TV series, this is the final chapter planned for Darth Maul’s saga. Collecting STAR WARS: DARTH MAUL — SON OF DATHOMIR #1-4 and material from STAR WARS TALES #7-9. 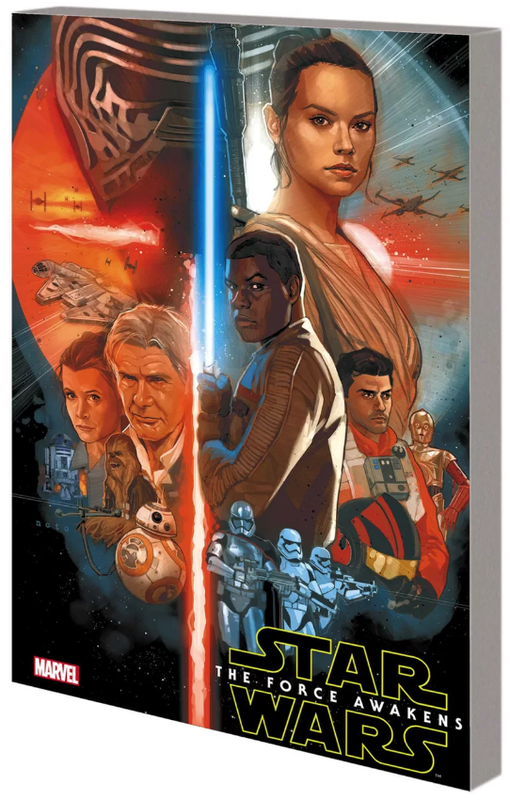 It’s been three decades since the Rebel Alliance destroyed the Death Star and toppled the Galactic Empire — but now, on the remote planet of Jakku, there is a stirring in the Force. A young scavenger named Rey, a deserting stormtrooper named Finn, an ace pilot named Poe and a dark apprentice named Kylo Ren — their lives are about to collide as the awakening begins. Writer Chuck Wendig (Star Wars: Aftermath) and artists Luke Ross (HERCULES) and Marc Laming (PLANET HULK) take us back into the saga of a lifetime! Collecting STAR WARS: THE FORCE AWAKENS ADAPTATION #1-6.